Σχεδιασμένο για ταξίδια τόσο επαγγελματικά όσο και διασκέδασης, το Eagle Mountain Resort Munnar είναι ιδανικά τοποθετημένο στη Bison Valley, μια από τις διασημότερες περιοχές της πόλης. Σε απόσταση μόνο 9 km από το κέντρο της πόλης, οι επισκέπτες βρίσκονται στην κατάλληλη θέση για να απολαύσουν τα αξιοθέατα και τις δραστηριότητες. Με την βολική του τοποθεσία, το ξενοδοχείο προσφέρει εύκολη πρόσβαση στους προορισμούς της πόλης που πρέπει οπωσδήποτε να δείτε. Επωφεληθείτε από ένα πλήθος ασυναγώνιστων υπηρεσιών και ανέσεων σε αυτό το ξενοδοχείο της Μουνάρ. Το ξενοδοχείο σας παρέχει 24ωρη υπηρεσία δωματίου, δωρεάν WiFi σε όλα τα δωμάτια, 24ωρη φύλαξη, παρεκκλήσι, ημερήσιος καθαρισμός. για να εξασφαλίσει ότι οι πελάτες μας θα απολαύσουν την μεγαλύτερη δυνατή άνεση. Το ξενοδοχείο διαθέτει 6 όμορφα διακοσμημένα δωμάτια, πολλά από τα οποία περιλαμβάνουν πετσέτες, ντουλάπα, επίπεδη τηλεόραση, δωρεάν ποτό καλωσορίσματος, υπηρεσία αφύπνισης. Οι κήπος του ξενοδοχείου είναι τα ιδανικά μέρη για να χαλαρώσετε και να ηρεμήσετε μετά από μια πολυάσχολη μέρα. Το Eagle Mountain Resort Munnar είναι ένας ιδανικός τόπος για να μείνετε αν ψάχνετε για γοητεία, άνεση και ευκολία στη Μουνάρ. We loved our three night stay in this hotel. The room was spacious, clean and very comfortable. The staff, particularly Saleesh, were so attentive and kind. It was such a luxury to have our meals served in our room. The food was so delicious and on a par with any good restaurant in India. The location was tranquil and a welcome break from the fervour of city life in India. You can readily walk around the area and explore the tea plantations and cardamon fields independently. We would strongly recommend this hotel to any visitor to Munnar. The staff there were really helpful and organised a lovely 2 day tour of Munnar for us. The rooms are nice with a big comfortable bed & decent WiFi. No need for air con here as it's pretty chilly in the mountains, but they do provide a thick blanket and hot drinks on demand. The balcony is just amazing and a great place to enjoy breakfast. The views are stunning! The food menu is quite large and tasty and they give you the choice to have meals in your room/balcony or in their restaurant. Prior to arriving I'd read that the road to the hotel is a big problem, but whilst it wasn't great we had no problems getting there. The ricksaw drivers are used to these roads and skilful at driving on them. We had rickshaws and taxis take us to the resort and into Munnar town without any problems, even in the dark! Overall, we loved our stay at Eagle Mountain and would highly recommend it for a relaxing break from the cities. Thanks for a lovely stay! The hotel has an amazing sunrise view and a very helpful crew that took care of all our needs - food, transport, general advise etc. The hotel is 20 min ride from town through some broken roads. But all in all, worth the travel. It was a very pleasant stay for us. The location is very scenic, which is the biggest advantage of the property. The staff was very courteous and helpful, and the food was good too, prepared according to our requests. Also, all the staff was of a big help when the battery of our car declined to function thereby leaving us no option but to make the car jump start. Enjoyed Eagle Mountain Resort, but felt there was very little information at reception, and some members of staff only responded with words OK as spoke very little English. Food was excellent and setting beautiful views. I had booked this resort based on others reviews but when I reached this place I was completed shocked. this place is not the best place in munnar and definitely not a resort at all. it looks like some lodge with no views of 'unseen nature' which they call. When ordered food, I found some hair in it and found insect in my drink. when I complained, they never took the issue seriously. One more important thing which you can expect at this place is frequent power cuts. when I stayed, I had experienced power cuts at least once in 2 hours including night time. And these people will never bother to use any back-ups even if you complain. I'll never ever stay in this place again if I visit munnar. Beautiful place tucked away in the mountains. Hospitality was fabulous - you can tell they really wanted you to have a memorable experience and went out of their way to accomondate you. Staff is helful and full of smiles. Food was fantastic, was a little weary as I was reading a lot of reviews about munnar hotels not having good food but we ate dinner both nights at the hotel restaurant and loved it. Place is a little outside of the main town but I liked that. The drive to and from had you feeling you were in a different world. Someone used the word magical in another review and I know why now. if you get car sick easily the part from munnar town to the hotel may be too much as there are narrow and steep roads. Overall I am more than pleased with my experience and highly recommend Eagle Mountain. This is such a nice hotel. The staff is very friendly, helpful and attantive. 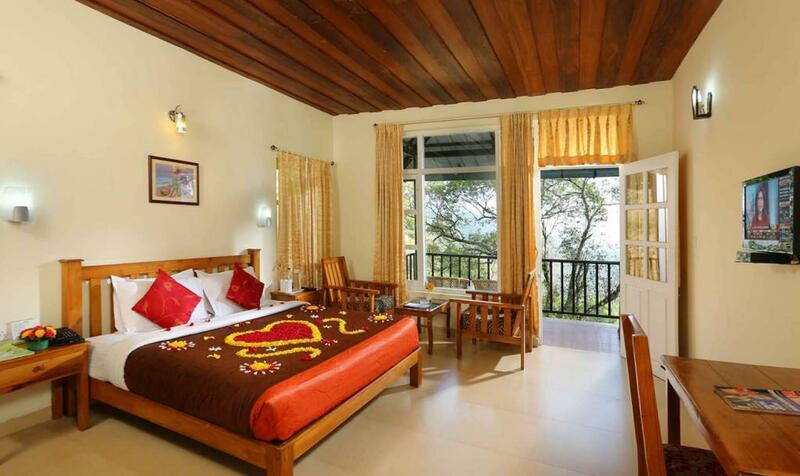 The room is spacious and clean with a nice balcony, offering a beautiful view. It's very calm and relaxing, because it's located in the mountains. So it's about 10 km away from Munnar. It's easy to reach via tuktuk (200 rupees from Munnar). A tea plantation is about 10 mins to walk away. There you can enjoy a beautiful scenery, which is even better when the sun sets. The breakfast and dinner were tasty. Absolutely recommended! Wonderful secluded location. Roads are a little difficult to get to. Suggest hiring a Jeep or SUV for munnar roads. The staff was ever willing to help. Great value for money. You can listen to the birds sing in the morning without any of the town noise. Eagle Mountain Resort is a great place. Magnificent location, beautiful rooms and delicious food. It's a little ride (7km) from town but that only adds to its beauty. Fully recommend staying here. We spent 3 nights at Eagle Moutain . What a stunning spot! 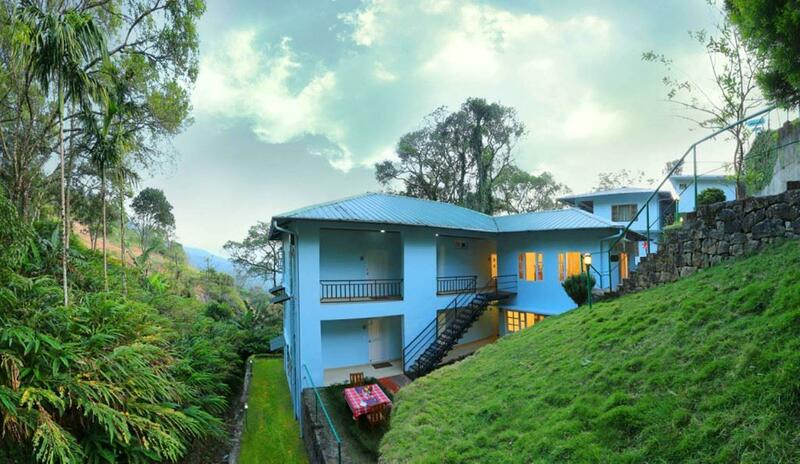 The house is nestled in a cardamon plantation about 7km down a skinny windy road from Munnar. Service was outstanding, views amazing - but it is the food that was a standout for us. Amazing curries every meal made with fresh produce from the local market. Amazing hospitality! Extremely amiable staff. Beautiful and scenic resort. A terrific package, overall! A wonderful place to stay. It was very peaceful. The rooms are very spacious with a beautiful outlook to the trees. Very clean. The staff were so friendly & helpful. Highly recommend this hotel. The food was amazing, the staff were lovely and helpful and the view was incredible!